The federal appeals court of California has ruled in the band's favour in what it called a "close and difficult case", Reuters reported. The decision could make it easier for performers to use artwork in their concerts, as long as they don't simply copy the image or diminish its value. Illustrator Seltzer designed the image Scream Icon in 2003 and it has gone on to feature in street art, including on a brick wall on LA's Sunset Boulevard. Green Day adapted the graffiti image and used it in a video backdrop during their 2009 tour, with a red cross spray painted over it. Seltzer sued after the band rejected a proposed settlement that included concert tickets. A federal district judge in Los Angeles in 2011 rejected his claims of copyright infringement and trademark violation. The appeals court ruled that Green Day's use of Scream Icon was fair, and was "transformative and not overly commercial" despite little alteration. The judge said Seltzer's testimony that the value of his work wasn't affected, and the absence of the image from Green Day merchandise and promotional material, also went in the band's favour. 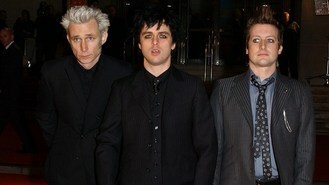 The ruling did overturn the awarding of 201,000 dollars of legal fees to Green Day. The judge said even though Seltzer lost, he had not been "objectively unreasonable" by suing.